PROPRIETARY RIGHTS. The Website and the Content are the sole and exclusive property of StudioOne and/or its licensors. You agree not to reproduce, duplicate, copy, sell, resell or exploit for any commercial purpose, any portion of the Website or the Content other than as expressly authorized by StudioOne in writing. You hereby acknowledge and agree that, as between StudioOne and you, all right, title, and interest in and to the Website and the Content, including without limitation any patent rights, patents, business methods, copyrights, trademarks, trade secrets, inventions, know-how, and all other intellectual property rights pertaining thereto, shall be owned exclusively by StudioOne. Use of the Website or the Content in any way not expressly permitted by this Agreement is prohibited, and may be actionable under United States or international law. PERMITTED USES. So long as you agree and comply with the terms of this Agreement, and unless this Agreement is otherwise terminated by StudioOne, StudioOne invites you to view and use a single copy of the Website and the Content for your personal, non-commercial use; provided, however, that you may not duplicate, publish, modify, distribute, perform or create derivative works from any part of the Website or the Content unless expressly authorized by StudioOne in writing. You agree that you will not remove or modify any acknowledgements, credits or legal notices contained on the Website or in the Content. Special terms may apply to some products or services offered on the Website and may be posted in connection with the applicable product, service, feature or activity. Any such terms are in addition to this Agreement and, in the event of a conflict, any such terms shall prevail. ADDITIONAL RESTRICTIONS. You agree not to access the Website by any means other than through a standard web browser on a computer or mobile device. You further agree that you will not damage, disable, overburden, or impair the Website or interfere with any other party's use and enjoyment of it. If StudioOne makes software available to you for download, your download and use of such software shall be subject to a separate license agreement. ABOUT THE INFORMATION ON THIS SITE. The content available on the Website is intended to be a general information resource and is provided solely on an “AS IS” and “AS AVAILABLE” basis. You are encouraged to confirm the information contained herein. You should not construe StudioOne's publication of the Website as a warranty or guarantee of the quality or availability of any goods or services. Goods offered through the Website, if any, are “AS IS” without warranties of any kind. COMMUNICATIONS WITH THIRD PARTIES. Your dealings or communications through the Website with any party other than StudioOne are solely between you and that third party. Under no circumstances will StudioOne be liable for any goods, services, resources or content available through such third party dealings or communications, or for any harm related thereto. ELIGIBILITY. By using the Website, you represent and warrant that (a) all registration information you submit, if any, is truthful and accurate; (b) you will maintain the accuracy of such information; (c) you are 13 years of age or older; and (d) your use of the Website does not violate any applicable law or regulation. LINKS TO OTHER SITES. The Website may contain links to websites operated by other parties. StudioOne provides these links to other websites as a convenience, and use of these sites is at your own risk. The linked sites are not under the control of StudioOne, and StudioOne is not responsible for the content available on the other sites. Such links do not imply StudioOne’s endorsement of information or material on any other site and StudioOne disclaims all liability with regard to your access to and use of such linked Websites. 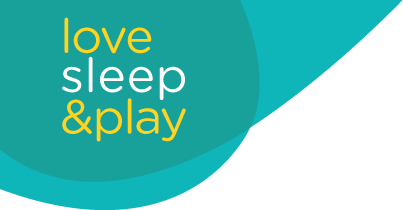 LINKS TO LOVESLEEPPLAY.COM. Unless otherwise set forth in a written agreement between you and StudioOne, you must adhere to StudioOne’s linking policy as follows: (i) the appearance, position and other aspects of the link may not be such as to damage or dilute the goodwill associated with StudioOne’s names and trademarks, (ii) the appearance, position and other attributes of the link may not create the false appearance that your organization or entity is sponsored by, affiliated with, or associated with StudioOne, (iii) when selected by a user, the link must display the Website on full-screen and not within a “frame” on the linking Website, and (iv) StudioOne reserves the right to revoke its consent to the link at any time and in its sole discretion. TRADEMARKS. Unauthorized use of any StudioOne trademark, service mark or logo are prohibited, and may be a violation of federal and state trademark laws. DISCLAIMERS AND LIMITATION OF LIABILITY. THE WEBSITE, ALL CONTENT ON THE WEBSITE, AND ANY GOODS OFFERED OR SOLD THROUGH THE WEBSITE ARE PROVIDED TO YOU ON AN “AS IS” “AS AVAILABLE” BASIS WITHOUT WARRANTY OF ANY KIND EITHER EXPRESS OR IMPLIED, INCLUDING BUT NOT LIMITED TO THE IMPLIED WARRANTIES OF MERCHANTABILITY, FITNESS FOR A PARTICULAR PURPOSE, AND NON-INFRINGEMENT. StudioOne MAKES NO WARRANTY AS TO THE ACCURACY, COMPLETENESS OR RELIABILITY OF ANY CONTENT AVAILABLE THROUGH THE WEBSITE. YOU ARE RESPONSIBLE FOR VERIFYING ANY INFORMATION BEFORE RELYING ON IT. USE OF THE WEBSITE AND THE CONTENT AVAILABLE ON THE WEBSITE IS AT YOUR SOLE RISK. STUDIOONE MAKES NO REPRESENTATIONS OR WARRANTIES THAT USE OF THE WEBSITE WILL BE UNINTERRUPTED OR ERROR-FREE. YOU ARE RESPONSIBLE FOR TAKING ALL NECESSARY PRECAUTIONS TO ENSURE THAT ANY CONTENT YOU MAY OBTAIN FROM THE WEBSITE IS FREE OF VIRUSES OR OTHER HARMFUL CODE. TO THE MAXIMUM EXTENT PERMITTED BY LAW, STUDIOONE DISCLAIMS ALL LIABILITY, WHETHER BASED IN CONTRACT, TORT (INCLUDING NEGLIGENCE), STRICT LIABILITY OR OTHERWISE, AND FURTHER DISCLAIMS ALL LOSSES, INCLUDING WITHOUT LIMITATION INDIRECT, INCIDENTAL, CONSEQUENTIAL, OR SPECIAL DAMAGES ARISING OUT OF OR IN ANY WAY CONNECTED WITH ACCESS TO OR USE OF THE WEBSITE, THE CONTENT, OR THE GOODS OFFERED OR SOLD THROUGH THE WEBSITE, EVEN IF STUDIOONE HAS BEEN ADVISED OF THE POSSIBILITY OF SUCH DAMAGES. WITHOUT LIMITING THE FOREGOING, AND SO LONG AS THE WEBSITE IS OFFERED AS A FREE SERVICE, STUDIOONE’S AGGREGATE LIABILITY ARISING OUT OF OR IN CONNECTION WITH THIS AGREEMENT OR YOUR USE OF THE WEBSITE SHALL NOT EXCEED $100. INDEMNITY. You agree to indemnify, defend and hold StudioOne, its subsidiaries, and affiliates, and their respective officers, agents, partners and employees, harmless from any loss, liability, claim, or demand, including reasonable attorneys' fees, due to or arising out of your use of the Website and/or breach of this Agreement. COPYRIGHT. The Website is protected by U.S. and international copyright laws. Except for your use as authorized above, you may not modify, reproduce or distribute the content, design or layout of the Website, or individual sections of the content, design or layout of the Website, without StudioOne’s express prior written permission. LOCATION. The Website is operated by StudioOne from its offices in the United States. Those who choose to access the Website from locations outside the United States do so on their own initiative and are responsible for compliance with applicable local laws. CHILDREN. The Website is not directed toward children under 13 years of age nor does StudioOne knowingly collect information from children under 13. If you are under 13, please do not submit any personally identifiable information to StudioOne. USER CONTENT. The Website enables its users to post content (hereinafter, “User Content”) that may be viewable by other Website users. By posting, providing, or otherwise making available any User Content, you hereby grant to StudioOne a worldwide, irrevocable, royalty-free, nonexclusive, limited license to reproduce, use, adapt, modify, publish, translate, publicly perform, publicly display, distribute and create derivative works from such User Content in any form, and StudioOne may sublicense all or part of its rights under this license or assign them to third parties. You waive all moral rights with respect to any User Content. You also represent and warrant that: (i) you own the content posted by you on or through the StudioOne Website or otherwise have the right to grant the license set forth in this section; and (ii) your posting of the content on or through the StudioOne Website does not violate the privacy rights, publicity rights, copyrights, contract rights or any other rights of any person. You acknowledge that StudioOne does not pre-screen User Content, but reserves the right (but does not assume the obligation) in its sole discretion to reject, move, edit or remove any User Content that is contributed to the Website. Without limiting the foregoing, StudioOne shall have the right to remove any User Content that violates this Agreement, or is otherwise objectionable as determined in StudioOne’s sole and absolute discretion. You acknowledge that StudioOne does not verify, adopt, ratify, or sanction User Content, and you agree that you must evaluate, and bear all risks associated with, your use of User Content or your reliance on the accuracy, completeness, or usefulness of User Content. You are solely responsible for the content that you post on or through the StudioOne Website, and you agree that you will indemnify, defend, and hold harmless StudioOne and its affiliates for all claims resulting from content you supply. ACCOUNT PASSWORD AND SECURITY. The Website may contain some features that require registration. If asked to register for additional access, you may select a username and password to be used in conjunction with your account. You are responsible for maintaining the confidentiality of your password, and are fully responsible for all uses of your password, whether by you or others. You agree to (a) log out of your account at the end of each session; (b) keep your password confidential and not share it with anyone else; and (c) immediately notify StudioOne of any unauthorized use of your password or account or any other breach of security. StudioOne cannot and will not be liable for any loss or damage arising from your failure to comply with this Section. DISCLOSURE OF PERSONAL INFORMATION. Without limitation of any of the rights granted to StudioOne herein, you acknowledge and agree that StudioOne may preserve and disclose information about you, your account and transactions made through the Website if required to do so by law or if we believe that such preservation or disclosure is reasonably necessary to: (a) comply with legal process; (b) enforce our rights; or (c) protect the rights, property, or safety of StudioOne, any individual or the public. FORCE MAJEURE. StudioOne shall not be liable for any delay or failure to perform resulting from causes outside the reasonable control of StudioOne, including without limitation any failure to perform hereunder due to unforeseen circumstances or causes beyond StudioOne’s control such as acts of God, fire, flood, earthquake, accidents, strikes, war, terrorism, governmental act, failure of common carriers (including Internet service providers and web hosting providers), or shortages of transportation facilities, fuel, energy, labor or materials. CONTACT. Please direct any questions you may have about this Agreement or the Website to us at info@studioone.com.